Newtown Youth & Family Services (NYFS) will once again benefit from a family-friendly event sponsored by Newtown Savings Bank. 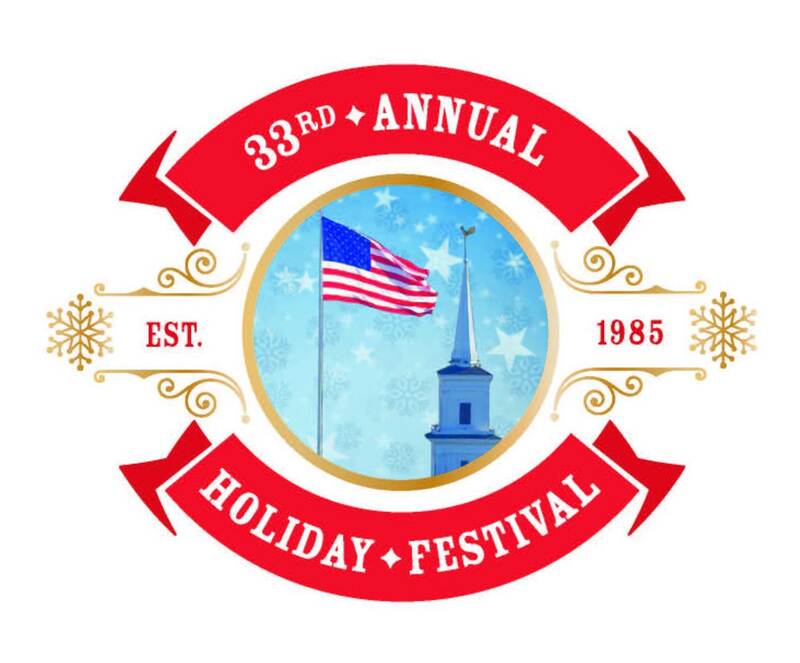 The 33rd Annual Holiday Festival is scheduled for Sunday, December 2, from 11 am until 4 pm, at Main Street locations. Candice Bohr, executive director of NYFS, is looking forward to what she calls “a beloved holiday tradition in our town. Tickets are $15 per person or $30 for a family (two adults and two children), with each additional child (ages 3-12; children 2 and under can participate free of charge) $8 each. Tickets will cover admission to the Festival of Trees, Holiday Tea, Historic House Tour, one performance of Nutcracker Suite ballet, Trolley Tours, and children’s activities. Activities will be taking place at C.H. Booth Library (CHB), 25 Main Street; and Edmond Town Hall (ETH), 45 Main Street. The homes on the Historic House Tour are on and near Main Street. Holiday Festival ticket-holders will have the option of walking to each of the locations or taking a shuttle, which is included in festival tickets. The shuttle — which is separate from the trolley tours — will depart from and return to Newtown General Store, 43 Main Street (to the immediate south of ETH). The 2018 Festival of Trees, children’s crafts, Letters for Santa, and other children’s offerings will all be at the library. Every year, local businesses, organizations, and families donate decorated trees, wreaths, gift baskets, and holiday decorations to the Festival of Trees. The trees can be live or artificial and are theme decorated. Raffle tickets to win the item of one’s choice will be available during the festival from 11 am until 4 pm. Winners will be drawn at 4 pm, and winners do not need to be present to win. Crafts for children and Letters for Santa will be on the main floor of the library. Downstairs in the children’s library, according to the NYFS website, will be photos with the Peanuts Gang from 1 to 2 pm, a reading of A Charlie Brown Christmas and Let’s Eat Together at 2 pm. Reid Kaplan, author of the latter title, will be offering the readings. Cookie decorating will then be offered from 2:15 pm until 4 pm. Children under 12 must be supervised by a parent or adult guardian. Edmond Town Hall will host two performances of Nutcracker Suite Ballet, a Children’s Tea, and the Holiday Tea. A Kids Tea will also be offered at ETH. The 60-minute event will begin at 11. Guests will enjoy treats, a sing-along, and visits with Mrs Claus. Performances of Nutcracker Suite Ballet will be offered in the theater of Edmond Town Hall at noon and 2 pm. Students of Newtown Centre of Classical Ballet & Voice will be the performers. The Holiday Tea, in The Alexandria Room, will feature live holiday music filling the air. Mulled apple cider, tea, and hot cocoa, along with freshly baked scones and tea breads, will be served. Tables will be decorated with fresh, floral teapot centerpieces that will be available for purchase. All ages are welcome, and each Holiday Festival ticket will cover one snack and one drink. Five private homes and Trinity Episcopal Church will be open for the Historic House Tour. A local designer/team will take care of creating festive settings within each location. The following homes will be open for Holiday Festival ticket-holders on Sunday: 10 West Street, a post and beam Colonial built in 1848 that “has seen revisions and additions over the many years, yet retains the peaceful aspect of days gone by,” according to a June 2014 Newtown Bee feature ahead of that summer’s Historical Society House & Garden Tour. Currently owned by Jason and Joni Besse, the earliest records of the house describe it as “a wood frame cottage of one and one-half stories with a gable roof.” Not much is known about its early history or residents. Rumor has it that it was one of several houses on West Street owned by a Main Street church in which visiting dignitaries were occasionally housed. The house has been greatly expanded and retains much of the original look of its earlier incarnation. This home will be decorated by Ethan Allen Design Center of Danbury. The home at 60 Main Street is currently owned by Paul and Noelle D’Agostino. Built in 1850, this Greek Revival home is enhanced with Victorian details, gingerbread trim adorning the front covered porch, paneled doors, tall windows, and antique hardware on the inside. The Honan family, owners of Honan Funeral Home, also on Main Street, resided in this home from 1938 to 2018. Corine Dell’Orso from Berkshire Hathaway Home Services will be decorating the home for this weekend’s Holiday Festival ticket-holders. Built in 1814, 19 Glover Avenue is currently owned by Adam Carta and Jennifer Dalton. This home was built by William Glover, Newtown’s former First Selectman. The American Foursquare-style home was popular from the mid-1890s to the late 1930s as a reaction to the ornate and mass-produced elements of the Victorian style. The American Foursquare was plain, often incorporating handcrafted, “honest” woodwork. This style incorporates elements of the Prairie School and the Craftsman styles. Neva Rubini and The Green Spot will be decorating this home. 40 Queen Street, owned by Rich Mowery and Liia Raamot is a 1933 Colonial-style home built as part of Newtown’s expansion after World War II. During recent garage renovations, Edmond Town Hall movie posters from the 1930s were discovered and donated back to Edmond Town Hall. With a remodeled living room and kitchen, the three-bedroom, 1½ bath home, sitting on approximately 1.3 acres, will also be decorated by Neva Rubini and The Green Spot. The classic Victorian home at 13 Sugar Street is currently owned by Francois & Nathalie DeBrantes. The home was built in 1888 for a Mr Harris and his wife, Jane, the daughter of David Glover, a direct descendant of one of the early founding fathers of Newtown. This house was built using only the finest materials, including stained glass windows and brass imported from Scotland. A turret, gables, and curved windows are features of the striking home that features six bedrooms, four bathrooms, and many of its original interior features dating back to the construction of the house. This home will be decorated by Laurie Volkmann. Trinity Church, at 36 Main Street, will also be open from 11 am to 4 pm on Sunday. All will be welcomed to tour the historic building at 36 Main Street, which will be offering a “Lessons & Carols” service at 1 pm; a light lunch of Lemon Chicken Orzo soup, grilled cheese, and salad served from 11:30 am to 2 pm, along with coffee, tea, hot chocolate, and water; a warm place to sit and relax; a gift for the little ones; and restrooms and changing tables. Trolley Tours, which debuted in the 2013 Holiday Festival, will also be back this year. A tour guide will narrate each 30-minute tour, which will roll down Main Street. Trolley Tours are first-come, first-served (seating is limited) and will depart from in front of ETH at 11:15, 12:15, 2, and 3. Children are invited to take a ride on the Polar Express, a child-size train that will run between the town hall and library buildings. Please note ticket for this offering are a separate $3 per child. They are separate from Holiday Festival tickets and will be sold at a ticket counter at ETH. Holiday Festival tickets are available in advance at Newtown Savings Bank, 32 Church Hill Road and 228 South Main Street (within Sand Hill Plaza); C.H. Booth Library; and Newtown Youth & Family Services, 15 Berkshire Road. They can also be purchased through the NYFS website. Proceeds from ticket sales, including the Festival of Trees raffle tickets, benefit NYFS. NYFS is licensed by the Connecticut Department of Children Families as an outpatient clinic for children and by the Department of Public Health as a psychiatric outpatient clinic for adults and as a facility for the care or treatment of substance abuse or dependent persons. NYFS is a nonprofit mental health clinic and youth service bureau. It is not a crisis center. Additional information about anything related to the Holiday Festival can be obtained by calling 203-270-4335.